Capture The Flag + version 2.0 is an evolution of my previous CTF template based on a flag-backpack system. This new version has a unique feature that allows admins to ASSIGN COUNTRIES TO EACH SIDE via mission parameters. This game mode/template has HIGH FPS and ROCK SOLID GAMEPLAY all the time. 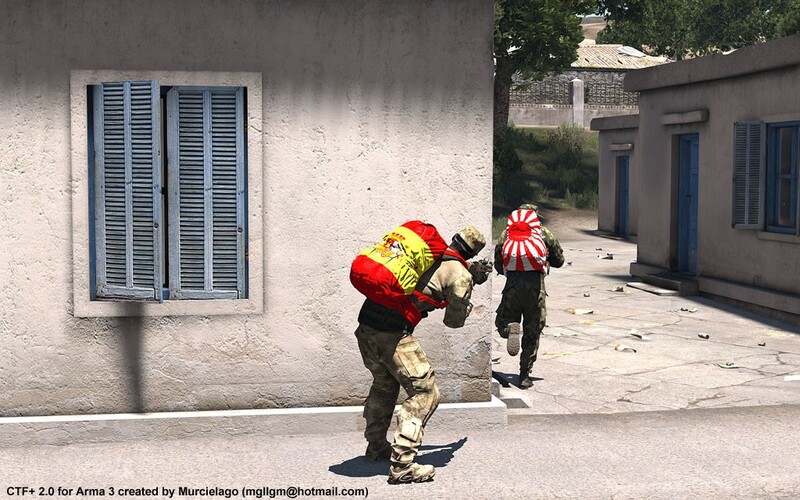 "Capture the flag, commonly abbreviated as CTF, is a traditional game where two teams each have a flag and the object is to capture the other team's flag, located at the team's "base," and bring it safely back to their own base." 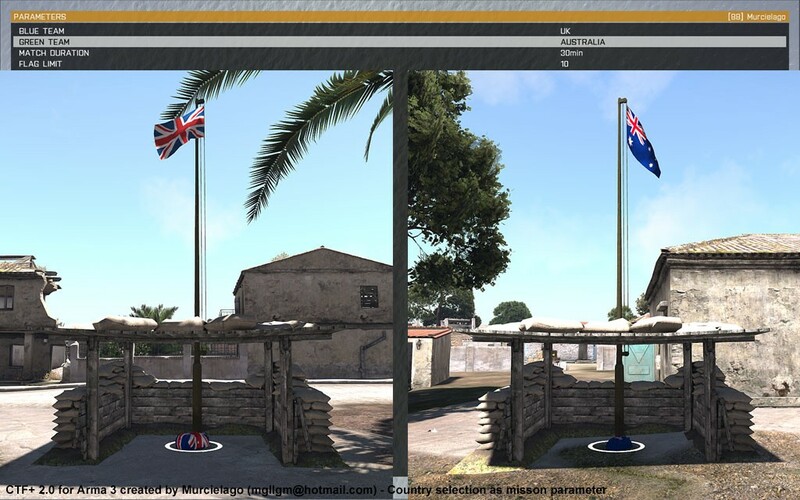 Sadly Arma 3 does not have a CTF game mode so this is why I created one. 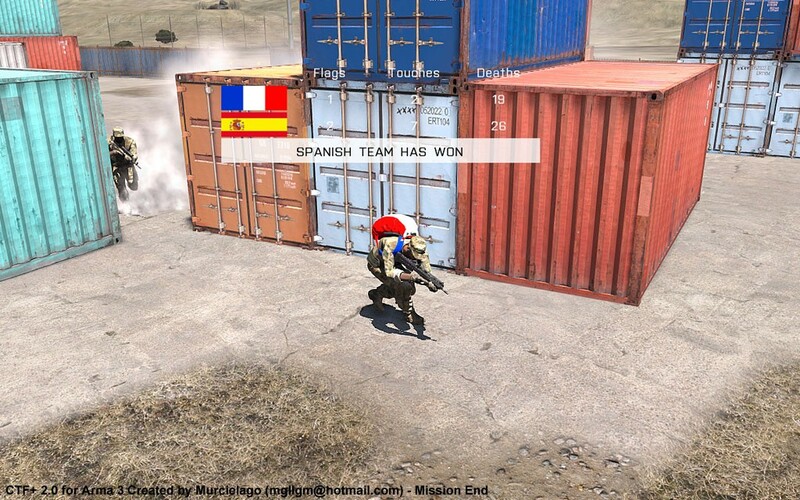 The CTF game mode I created has extra features this is why I called CTF+. Capture The Flag + v.2.0 is an evolution of my previous CTF template based on a flag-backpack system. This new version has a unique feature that allows admins to assign countries to each side via mission parameters. Currently it features 33 nationalities with their own flags and backpacks. I also mature the CTF template, making it easier to use and adding little details to increase the gameplay. Finally, the codes have been improved and like the original version it uses only 2 public variables and it does not use triggers to give you HIGH FPS and ROCK SOLID GAMEPLAY from the beginning till the end. 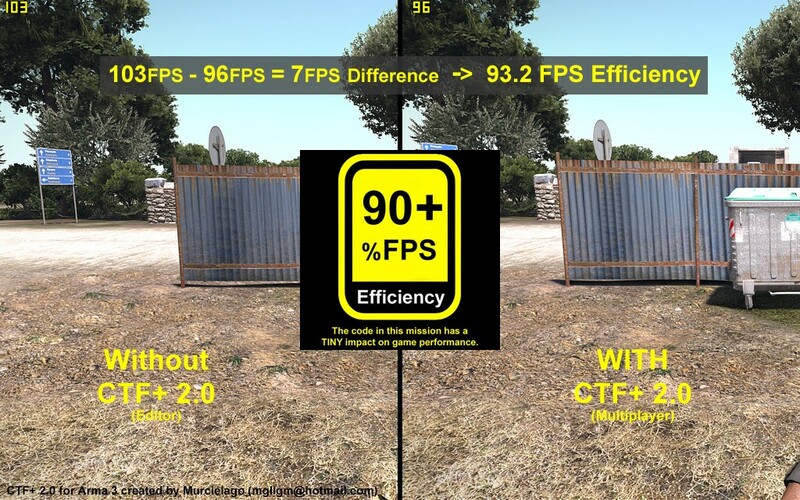 I'm proud to say that CTF+ 2.0 will only take 5-10% of your FPS! Thanks to:  Kinno,  LORD,  Valtas, [UNA] Luke, [UNA] Vortex and the other members of 88th.es & united-nations-army.eu for their help and time!